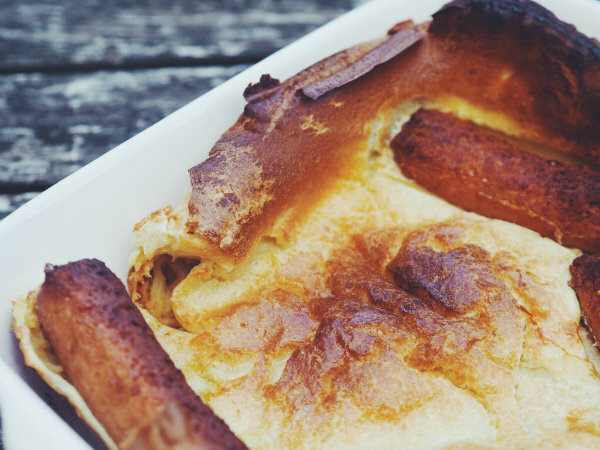 Today I wanted to share my recipe for Toad In The Hole. If you haven't heard of it before,don't let the name put you off, it's basically sausages in a batter and nothing to do with baking amphibians! 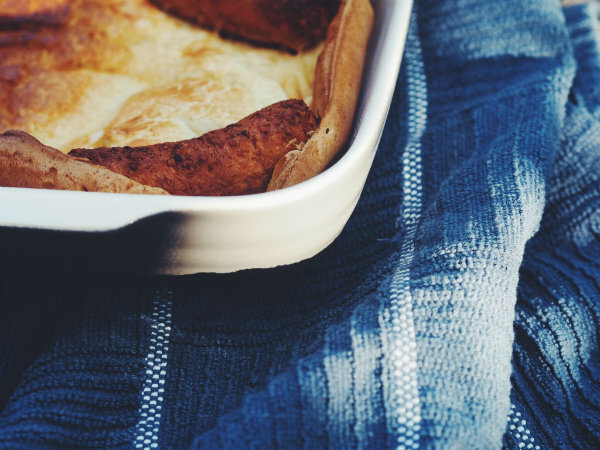 Have you ever made toad in the hole before? I had never before heard of it,but it really sounds good! Thanks for the tip! This is new to me, but sounds delicious! My mom loves vegetarian sausage. Are you a vegetarian as well? Happy weekend, Rosanna! so cool post! thanks for sharing!! Great tip babe, it sounds delicious! I have heard of toad in a hole before but wasn't sure exactly what it was. I thought it was a casserole but wasn't sure but you helped clear that up for me. I've never heard of this before, but looks so yummy. This dish is new to me. I love the name. It's pretty intriguing. This is new to me but it looks very healthy and delicious. Need to try it. Thanks for sharing. 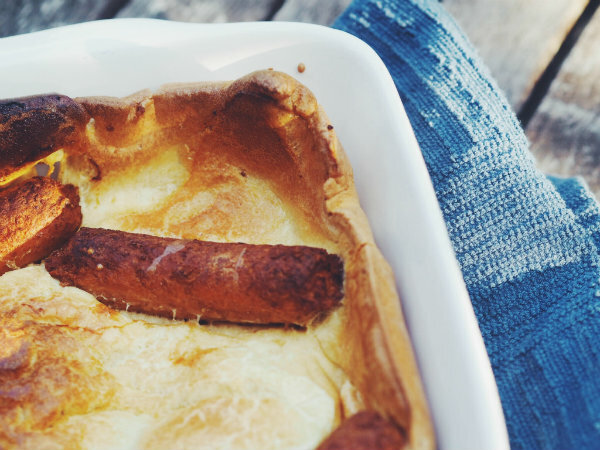 I've never heard of toad in the hole before but now I know. Looks so delicious! This looks delish! Thanks for the recipe dear. Nossa parece ser muito bom! Anotarei a receita! oohh that looks so good! As far as I know I never tried out something similar before! Therefore, thanks a lot for sharing and happy new week! Never heard it called this, but it sounds good! I've never tried but looks absolutely delicious. Nossa pra mim essa receita e nova. 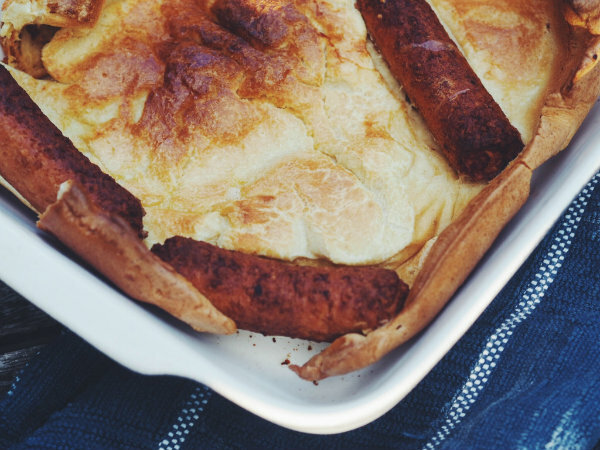 Never before I didn't made toad in hole so I'm excited to try your receipe. This looks so good! I never thought to make it with the veggie sausages before. It's a great idea.